On February 14, 1990, the Voyager spacecraft launched by NASA on September 5, 1977, took this picture of Earth from a distance of 3.7 billion miles. 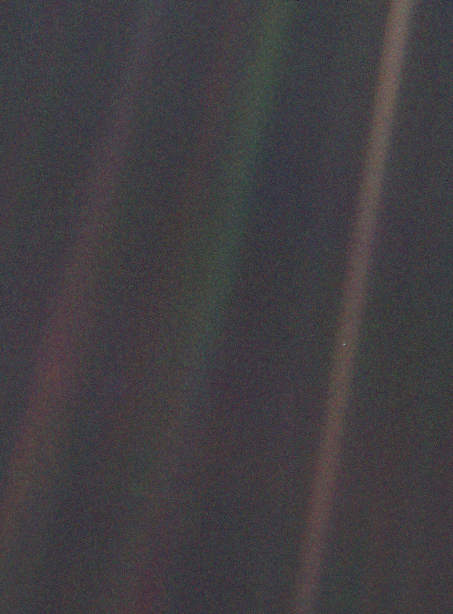 In this picture Earth appears as a tiny dot suspended in vast empty space. These are Carl Sagan’s reflections on this image.